The silicone sportEX bracelet by ENERGETIX Bingen became quite a success almost immediately after it was launched. 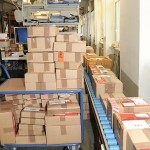 The first delivery sold out within just a few days and the demand for subsequent shipments was extraordinarily high. The silicone sportEX bracelet that combines a beautiful and modern design with extraordinary practicality comes with strong neodymium magnets that are encapsulated in almost indestructible silicone – not only for a young and sporting audience in brilliant colours but also for all those who want to wear a robust bracelet even in demanding conditions. A bracelet that will survive the shower, sauna, swimming pool and almost any other sports, leisure, household or hobby activity without suffering any damage! How is the sportEX bracelet made? ENERGETIX Bingen developed and designed the sportEX bracelet and even closely supervised the test batch and first production runs. ENERGETIX also monitored the implementation of its quality standards at site. The production of sportEX bracelets commences with a high-quality silicone mass, which is manufactured to satisfy European safety standards. The entire production process is governed by EU regulations (EC), which are based on the REACH system (Registration, Evaluation, Authorisation and Restriction of Chemicals) that specifies the exclusive use of registered materials and the avoidance of hazardous substances in products manufactured in accordance with the EC’s RoHS directive (Restriction of (the use of certain) hazardous substances). These regulations apply to such high-quality products as cars, electrical and electronic appliances and, of course, to sportEX by ENERGETIX Bingen. The raw silicone is dyed in accordance with ENERGETIX’s specifications – in this case a strong pink – and shaped to the right size. The strips and three magnets per bracelet are then placed very carefully with great accuracy in a large press and pressed at a very high pressure and temperature for a precisely defined period of time – they are “baked” so to speak! This is where the bracelets take their final shape and where the ENERGETIX lettering in clear writing and Braille as well as all the design elements are applied. This turns the raw silicone into a soft and flexible item of jewellery that is pleasant to wear. In the next stage of work, the sportEX bracelets are taken out of the press to then be finished. At this point in production, the sports bracelets still possess the unavoidable residues from the pressing stage on them. This indicates that sufficient material was in the press and that no holes or hollow spaces have spoilt the jewellery. After the excess silicone has been removed and the bracelets have been cleaned, a special protective film is applied that largely prevents them from attracting dust as is frequently the case with cheap products. 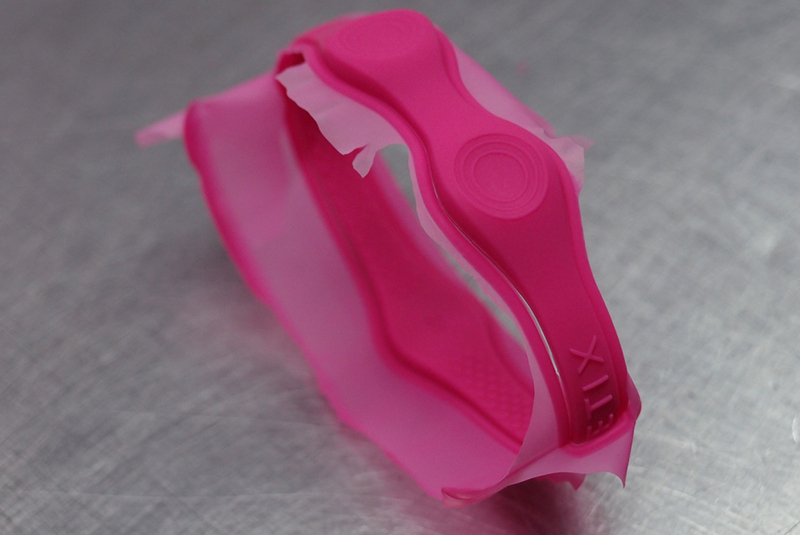 The sportEX bracelets are finished by placing them in the stabilization oven for an extended period of time. The sequence of work described above shows how complex the production of sportEX silicone bracelets actually is. But it is only this elaborate manufacturing process that makes it possible to guarantee that the colour will last and that the bracelets will be sufficiently durable. It makes them stand out from many the mass-produced and frequently only injection-moulded pieces on the market. And it is not without pride that Dr Thiel, COO at ENERGETIX, reported the success of “having been able to work with a renowned producer to technically structure the relatively complex process in such a way that we are able to guarantee a magnetic field strength of 1,200 per magnet to our distributors and customers in spite of the high processing temperature”. So it only remains to wish everybody lots of fun with the new sports bracelets. Franziska Knuppe is the celebrity backer of the 15th “door” on BMW’s Art Advent Calendar – a project in which ENERGETIX is participating for the first time this year – and is to open “her” door at the Jumeirah Hotel in Frankfurt am Main. 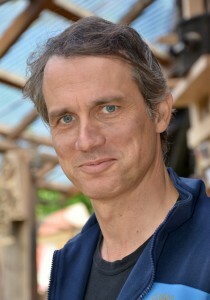 The internationally successful model – along with the actor, Ralf Bauer, among others (see previous FROGBLOG report) – is one of 24 backers for the works of art that the respective artists are donating to charity. As the backer for the 15th “door”, Franziska Knuppe visited Ilona Arndt at her studios in Hanover to join forces with the artist and paint a picture for the calendar. And today, on Saturday, 15 December 2012, the 15th “door” on the larger-than-life advent calendar is to be opened and the day’s specific work of art revealed at a festive event being held at the Jumeirah (MyZeil Gallery) in Frankfurt. Incidentally, it’s the first time that the XXL Art Advent Calendar is also being staged in Frankfurt am Main in addition to Berlin and Munich. Besides the artist, Ilona Arndt, who is donating her work of art, and her backer, Franziska Knuppe, the management at ENERGETIX Bingen, which is contributing to the project’s success by making a large donation to the „Artists for Kids“ charity, will also be in attendance at the event. A further highlight besides the unveiling of the work of art for the Art Advent Calendar will be the presentation of an entertaining short film showing the production of a second joint work of art by Ilona Arndt and Franziska Knuppe. You can watch this short film here! Interested readers will find all 24 “stories” and photos of the works of art donated by the 24 artists in the special edition of “Charity Magazin Dezember 2012”. The 24 films may also be watched on an online Advent calendar at www.kunstadventskalender.de. 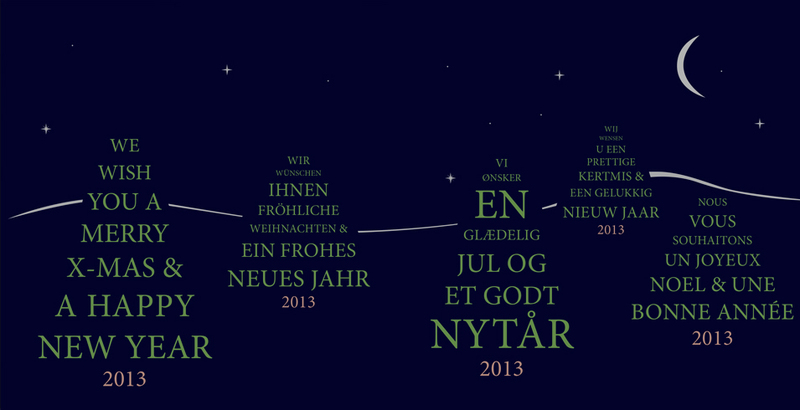 www.kunstadventskalender.de. FROGBLOG first reported BMW’s Art Advent Calendar project that is being staged in several cities for the “Artists for Kids” charity on 1 December. Within the scope of this charity event that is being held in Munich, Berlin and Frankfurt am Main, prominent backers will be opening “their” Advent calendar “doors” – behind which works of art (donated to the project by the respective artists) have been concealed from 1 to 24 December. Ralf Bauer, who has for several years been working with jewellery designers at ENERGETIX Bingen to create the “Inspired by Ralf Bauer” range, will also be participating in this project. With Hannelore Elsner, Dominic Raacke, Katja Flint, Christian Berkel and many other celebrities, he is backing one of the 24 contemporary works of art created for BMW’s Art Advent Calendar 2012. 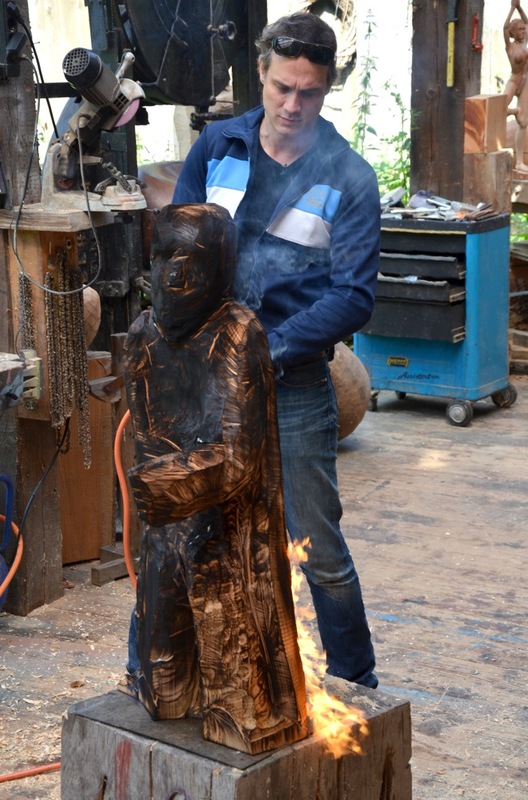 Specifically, Ralf Bauer will be backing the twelfth work of art, a sculpture by the sculptor, Hendoc. 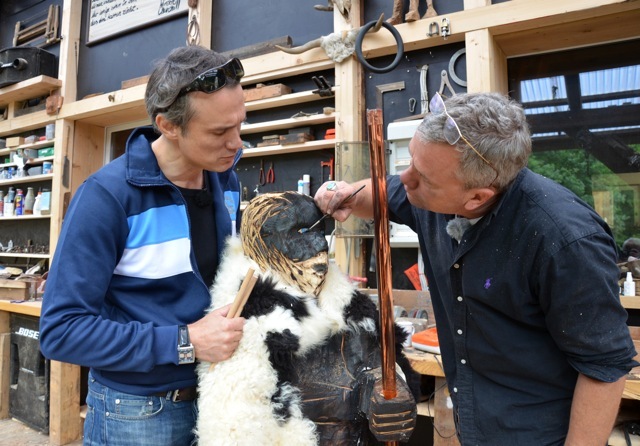 And this is a duo that works really well together because when they met at the artist’s studio, Ralf Bauer actively got involved – with chainsaw, mallet and chisel – in turning a wooden block into a sculpture with the artist. The twelfth “door” on the XXL Advent Calendar is to be opened on Wednesday, 12 December 2012 – in the presence of Hendoc, Ralf Bauer and representatives of the sponsoring company (Bethmann Bank) – to reveal the wood sculptor’s work, which will then be presented on the façade of BMW’s building in Munich (Lenbachplatz 7a). Interested readers may find out more about this year’s Art Advent Calendar (which is in its fifth incarnation), the artists and the celebrity backers in the special issue of “Charity Magazin Dezember 2012” and online at www.kunstadventskalender.de. December has begun, Christmas is inexorably approaching and ENERGETIX Bingen is making a special effort to ensure that all distributors receive the goods they have ordered as quickly as possible. 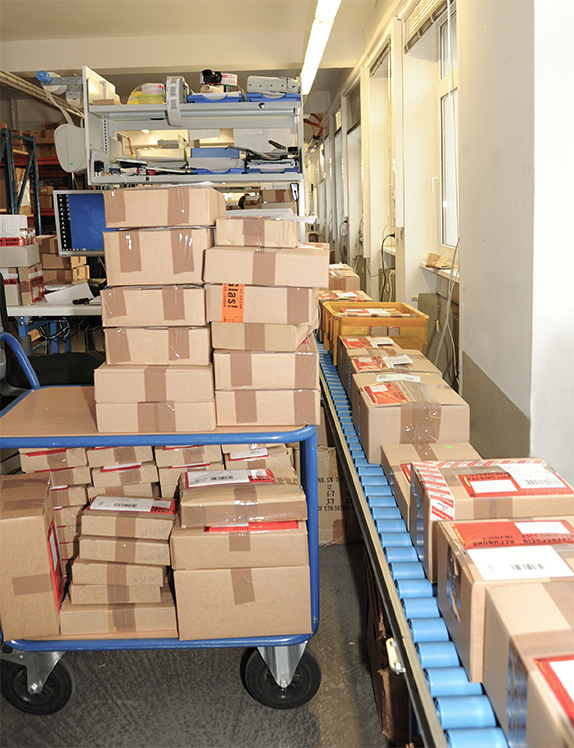 The warehouse team is enthusiastically starting work at 7 o’clock every morning to process all the orders that have come in and dispatch the packets and parcels as fast as they can. Staff from all departments are lending a helping hand. Besides its commitment to the Hugo Tempelman Foundation, ENERGETIX Bingen will this year be participating in a very special charity: the BMW Art Advent Calendar, which 2012 is being published for the fifth time. Twenty-four artists – in conjunction with a celebrity backer – have each created a work of art for a special Advent calendar and donated it to charity. Renowned businesses and media companies have helped fund the overall project and this year, all proceeds are to be donated to the “Artists for Kids” charity. The project, which was established in 1999 by Bernd Eichinger (1949 – 2011) among others, provides unbureaucratic help to children as well as young people and their families living in Munich who find themselves in difficult situations. In the days leading up to Christmas, the showroom windows at BMW in Munich (Lenbachplatz 7a) and Berlin (Kurfürstendamm 31) and the façade of the MyZeil-Galerie (Große Eschersheimer Straße 10 / Thurn-und-Taxis-Platz 2) in Frankfurt’s city centre are going to be turned into XXL Advent calendars. A “door” will be opened each day from 1 to 24 December to reveal the respective work of art. The participating artists along with their backers and business sponsors as well as the initiators and press representatives will be attending the events at which the works of art are to be presented. ENERGETIX Bingen will be “supporting ‘door’ No. 15” and is planning to turn the 15th December into an event. We will not be revealing the names of the artist and backer just yet – after all, the ENERGETIX “door” is only going to be officially opened at the Jumeirah to reveal the work of art (which we are also keeping secret!) on Saturday, 15 December 2012. Twenty-four short films documenting the creation of the respective works of art are also going to be transmitted on the N24 television channel from 1 to 24 December. The film about ENERGETIX’s work of art will, of course, be transmitted on 15 December – at 12.05 p.m. All films are to be shown around the clock on the Internet at N24.de.